It was a pretty quiet day, overall. There were no group programs and everyone seemed fairly subdued. I know that by the end of the day, though I had some great sessions today, I was ready to get out of the lab and back into San Francisco explorations. 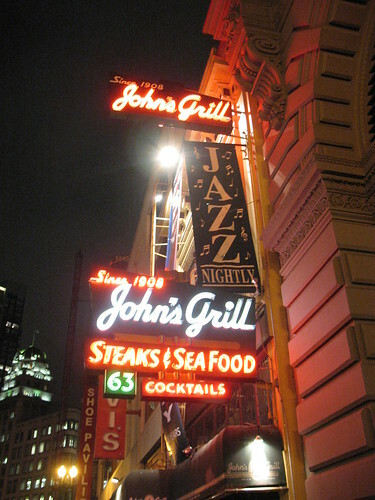 David and I indulged with dinner at John’s Grill — I had red snapper. It was delicious! Then we sort of wandered around aimlessly before we met up with other coworkers (who were in town for a different conference) at an irish pub near the Embarcadero Center. We had a few more drinks at the hotel they were staying at, and met a few other coworkers who had arrived late.